“Empowering and Communicating with Your Fans” is a course designed for social media users who are interested in learning how to maximize their interactions with their customers and “fans”. In this course, you will learn strategies that will allow you to develop an effective overall marketing presence through platforms such as Facebook, Twitter, and other popular social media platforms. In order to successfully complete this course and earn your .2 CEUS/ 2 CECs, you must complete the online modules, contribute to all discussion posts, complete and submit all assignments and earn 100% on final quiz. Identify marketing strategies that allow companies to empower your fans. Describe the difference between connecting with a fan base and understanding a fan base. Identify techniques that you can utilize to recognize and reward your customers’ existing behavior rather than create new behaviors. Identify the seven steps of effectively engaging an angry customer. 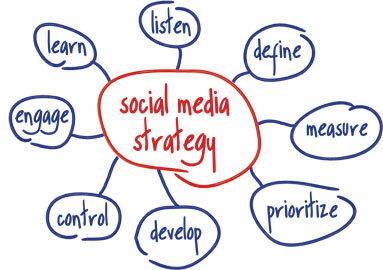 Identify four ways to use social media with to work with your brand’s fans. Utilize the ten steps of creating a “killer” marketing outreach program. Collier, Mack. (2013) Think Like A Rock Star: How To Create Social Media and Marketing Strategies That Turn Customers Into Fans. Chapters 4, 5, 6.